There’s so much more to AWS than the cloud. Wouldn’t it be great if there were a simple roadmap that guides users on an AWS journey, like an “Intro to AWS: 101” syllabus? To consumers, Amazon is an e-commerce website on which we rely for products at competitive prices that are hand-delivered to the location of our choosing. Known for fast shipping and reliable product reviews, Amazon is a nearly $200 billion machine that has “expanded at all costs” over the last two-plus decades. The “other” side of Amazon, however, is an even greater asset. The e-commerce giant launched its secret weapon, Amazon Web Services (AWS), a dozen years ago beating Google, Microsoft, and IBM to market. Upon launch, investors eyed with wariness, but with a customer list that includes Netflix and Comcast, AWS is the clear leader in the cloud marketplace. AWS and the cloud remain a mystery to many – mainly because the average Amazon.com customer is not the typical AWS user. What AWS Is: a cloud computing service with a multitude of products for storage, analytics, developer tools, security, and more. What AWS Is Not: A replacement for your network. 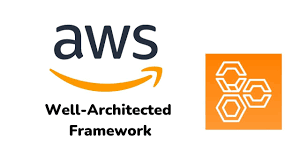 AWS products can replace many elements on your network, but the AWS Infrastructure-as-a-Service (IaaS) is utilized over the Internet and will still require infrastructure set-up to use. The general public doubts the security of the cloud, and this doubt is rooted in fear of the unknown. What we can’t see, we don’t entirely understand – and we definitely can’t see the cloud! How do we know AWS products and services are secure? That depends on a shared responsibility. Users need to ensure secure access and protection to prevent unauthorized users just as much as Amazon provides secure environments for apps and storage. AWS offers firewalls, encryption, private network creation, and service combinations to defend against threats. Combined with your internal security resources, the AWS offers an incredibly secure cloud environment that users can have confidence in. Do I need to be a cloud expert to use AWS? To understand why takes just a bit of an explanation. Cloud “experts” understand the finer intricacies of how wireless technology communicates between cloud-based components, and everything involved, from security to daily operations. That said, a solid background in IT is a really wise first step in deploying AWS apps. Help is always just a click or call away, especially from a managed IT services provider (MSP). MSPs are incredibly helpful for establishing a cloud-based infrastructure and migrating to AWS productivity apps, and also offer a variety of IT support in the form of services like 24/7 remote monitoring, for a low monthly fee. When it doubt, hire the help you need! Are AWS and the cloud reliable? The answer here is multi-faceted. First, technology is only as reliable as the purpose for which it was designed, and the infrastructure design itself. Much like an application with a poor design is full of bugs, glitchy, and freezes often making it ineffective and preventing productivity, a poorly designed cloud solution offers an environment that users will find ineffective and unreliable. The nice thing about cloud data storage is the capability for redundancy. While reliability in the functionality of apps depends on the developer, cloud data storage is very reliable in that AWS maintains back-ups – in triplicate – to ensure infallibility. What are the main AWS services? An all-in-one environment that allows users to access cloud-based productivity apps, and allows users to pay for only those services used in a scalable environment. Flexibility: On-demand, pay by the hour or the second, and varied commitment terms. This is the most basic component of networking and is limited by geographical boundaries. What are the key things to remember about Amazon Web Services? Amazon Web Services are designed to work together but can work independently. Mix & match to meet your needs! AWS products and services are an on-demand model and can offer significant cost savings – but some are charged by-the-minute, so keep an eye on instances. How Much Does AWS Cost? This question has hundreds of answers, because, with AWS, users have hundreds of combinations and options to choose from within an account – depending on the account type. There is a free tier – best for beginners – that includes 750 hours of Linux and Windows instances each month for the first year, and users can experiment and build from the introductory level. What Are My Options For Apps? Developer tools like AWS CodeStar, aimed at helping developers build and deploy custom apps. Analytics tools like QuickSight, a speedy business analytics service. Amazon Connect, a cloud-based contact center. Pinpoint, allowing for push notifications for mobile apps. 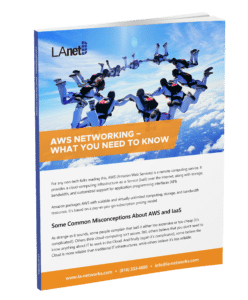 If you still need assistance getting started with AWS, LA Networks has an ebook designed at helping new AWS users jump head first into AWS and correcting some of the common misconceptions users have about AWS. SD-WAN Simplified: Is It The Right Choice Right Now?